Our ABC CREATE Fall Convening 2018 kicked off with a morning work session. 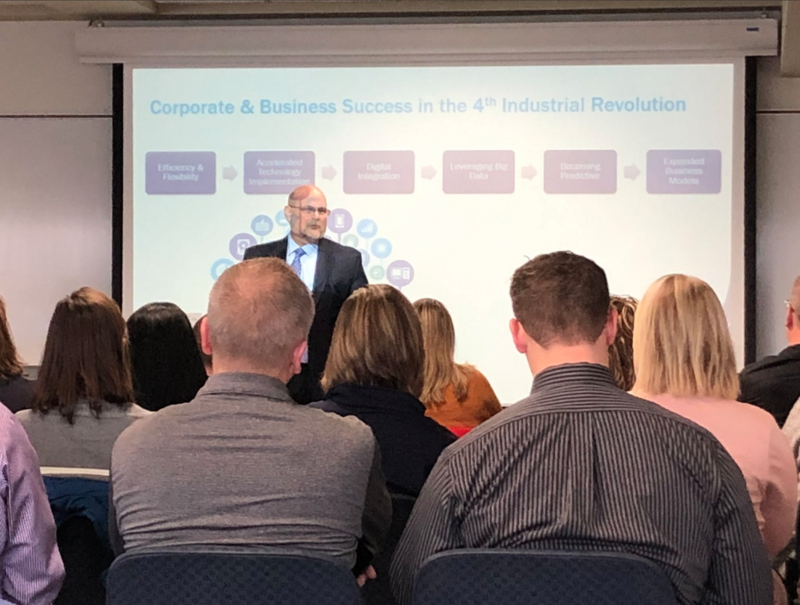 Mid-day, industry and educational leaders came together for an introductory discussion about how the digital industrial age, known as Industry 4.0, is changing the way companies, education providers and partners are interacting, doing business and preparing for the future. The afternoon concluded with a sharing out of action steps from the morning work sessions and a debrief about how the digital revolution is impacting education.